Gesellige Runde im Wirtshaus. Öl auf Holz. Unsign. Altrest. H. 23,5, B. 32,5 cm. 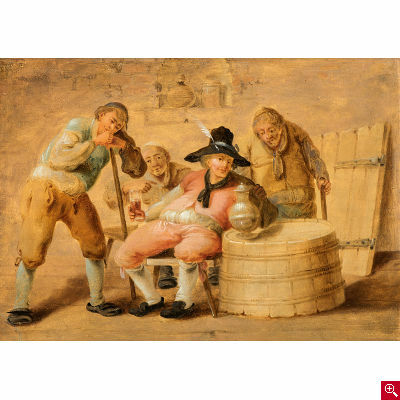 Dutch genre painter 18th C. Convivial gathering at the tavern. 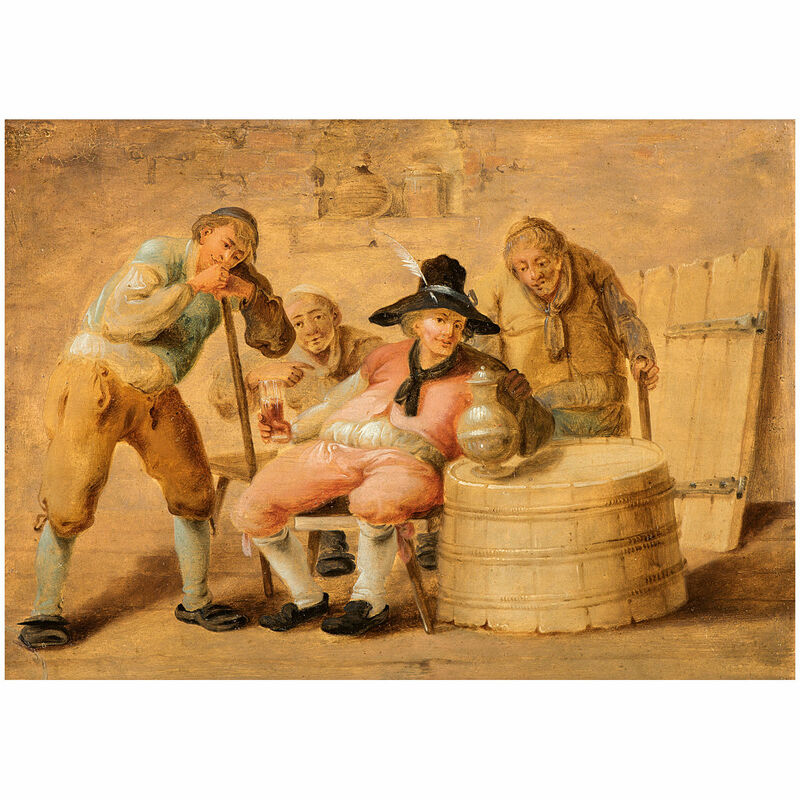 Oil on panel. Unsigned. Restored. H 23,5, W 32,5 cm.